We visited Cape May, New Jersey for a couple of days this week. I love to get out on the beach first thing in the morning, when it’s uncrowded and the marine life is feeding. We spotted a large pod of dolphins swimming less than 200 yards off shore both mornings. Cape May - the southernmost tip of New Jersey - is a favorite destination not only for human tourists, but also for a pod of an estimated 2500 dolphins who summer there each year! You don’t need to book a "whale watch" tour. If you are vacationing at the ocean, just get out on the beach at dawn or dusk and watch the surf. You’ll be amazed at all the animal life - birds, fish, mollusks, dolphins, seals - that you can see if you just take the time to look. In this article from the latest issue of Wired Magazine, researchers describe how some humans are learning to move around by using their ears, rather than their eyes, to know where they are going. Do you think YOU could move around in your world the way a dolphin does in water? 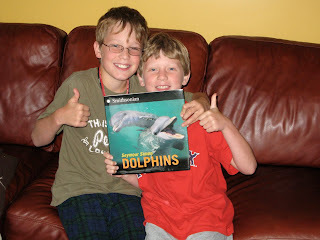 Why did I write about Dolphins? What’s so interesting about dolphins? A while ago, I read a science fiction story about an ocean planet populated with intelligent water mammals such as whales and dolphins. The ocean animals of this planet even explored beyond their planet in spaceships filled with ocean water. And who were the leaders and the smartest sea life on the ocean planet? Dolphins, naturally. What makes dolphins so smart? Why their brains of course. Dolphins have very large brains in relation to their body size. 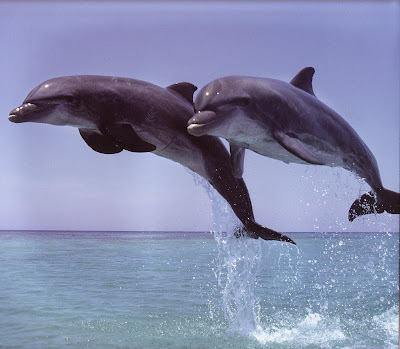 In fact, bottlenose dolphins rank second only to humans in the ratio of their brain size to body size. Just how intelligent on the dolphins that live on our planet Earth? 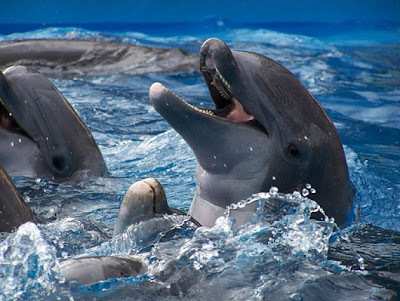 Nobody really knows the exact answer to this question (or at least no one on Earth knows), but researchers are finding out that dolphins can and do communicate with each other and that they can even solve some puzzles and problems. All of this is interesting, but the real reason I wrote a book about dolphins is that they are beautiful and fascinating to watch at sea and even in large public aquariums. And like with most of the books I write, even after the book is published I still am finding out new things which I wish I had put in the book. 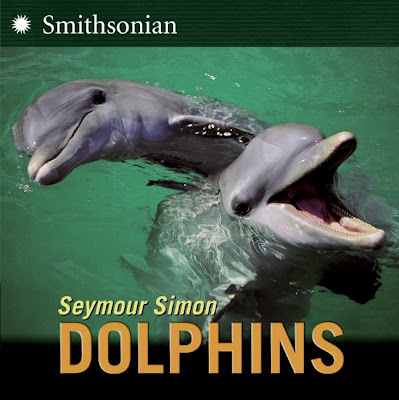 Do you know things about dolphins or have you taken pictures or video of dolphins that you would like to share with readers of Seymour Science? Send an email to Seymour Science and tell me all about it so I can post your note on my site.